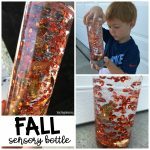 I can’t believe it’s the last day in June and I haven’t shared our sensory bottle of the month yet! 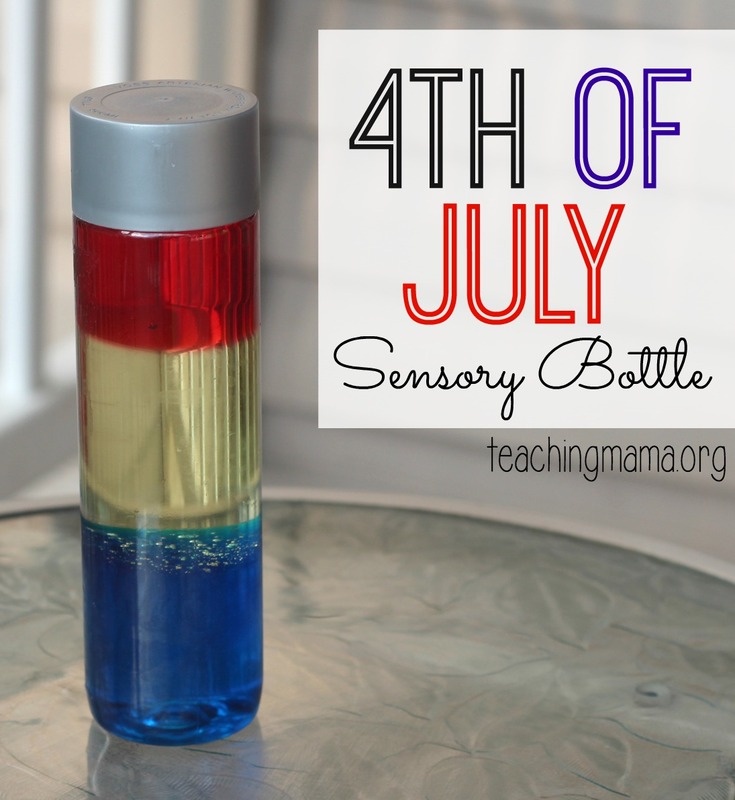 Today, I’m sharing our 4th of July sensory bottle. 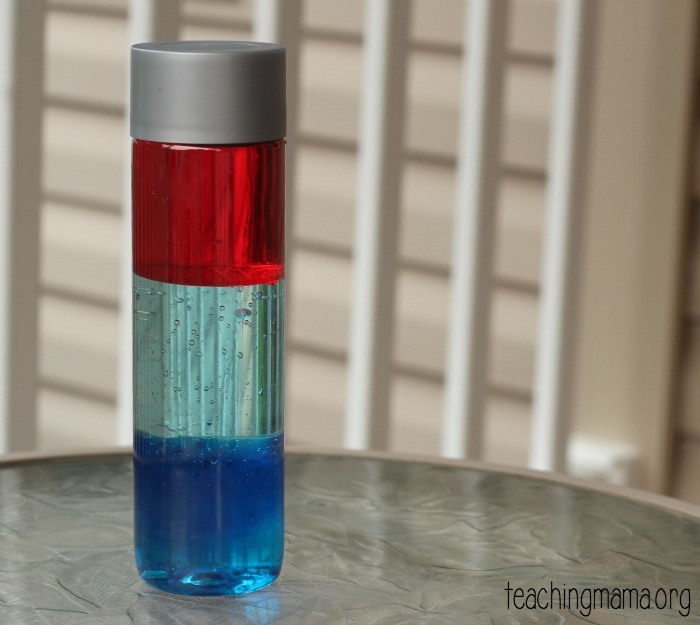 Not only does this look patriotic, but this bottle is a great way to teach about density! 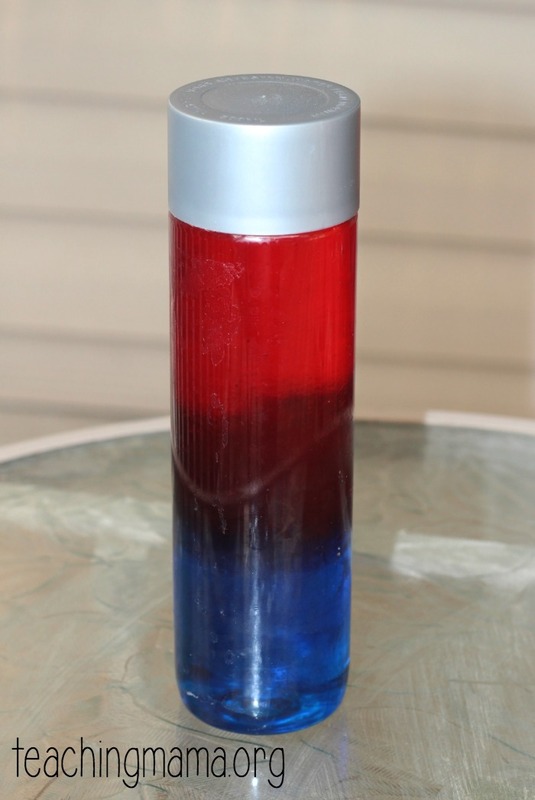 I wanted to create a bottle with red, white, and blue to look patriotic. 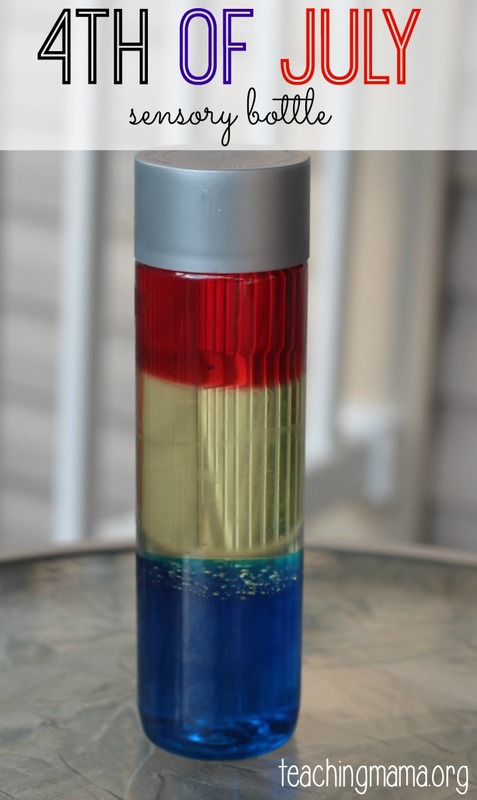 I was trying to think of how to create three layers without the liquids mixing into each other. 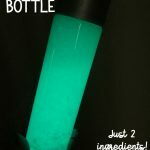 I came up with corn syrup, vegetable oil, and lamp oil. The syrup is heavy, so it stays on the bottom. 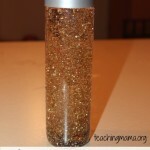 The vegetable oil is light and doesn’t mix with the corn syrup, so it’s in the middle. 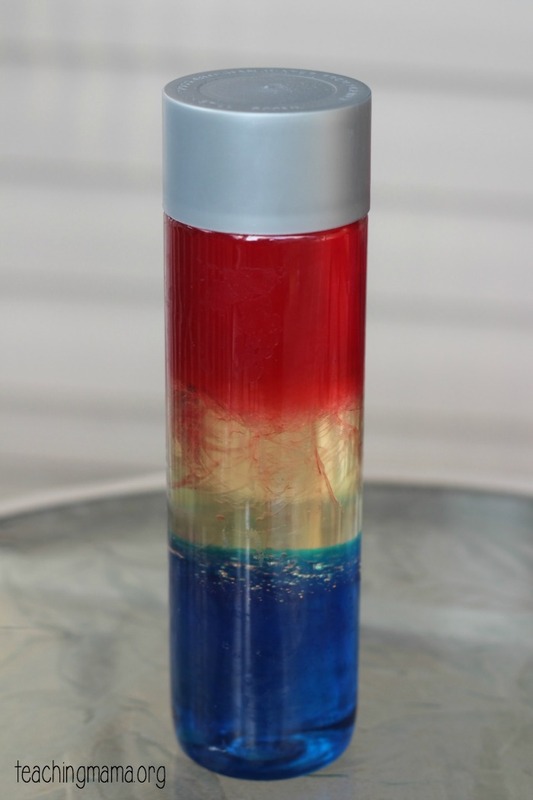 The top layer is red lamp oil. 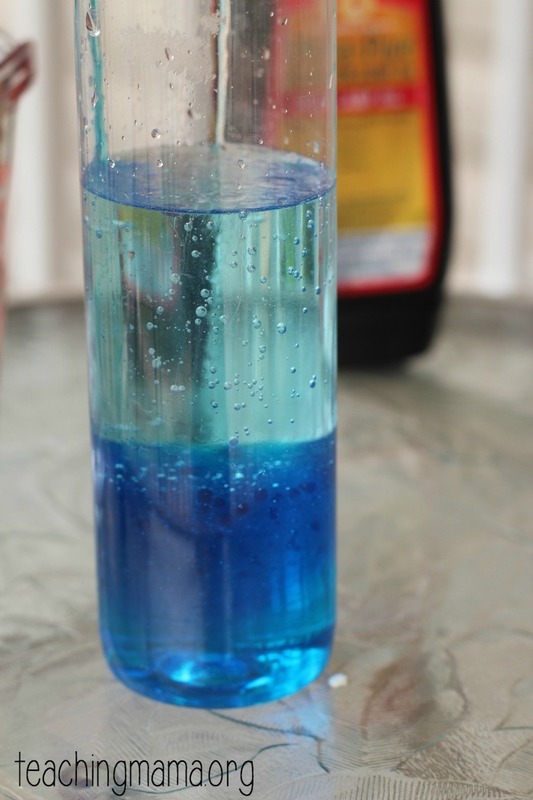 To put it together, simply pour in the corn syrup, then the vegetable oil, and then the lamp oil. 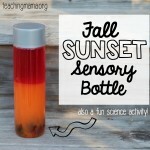 Seal the lid with glue so little ones won’t open up the bottle! 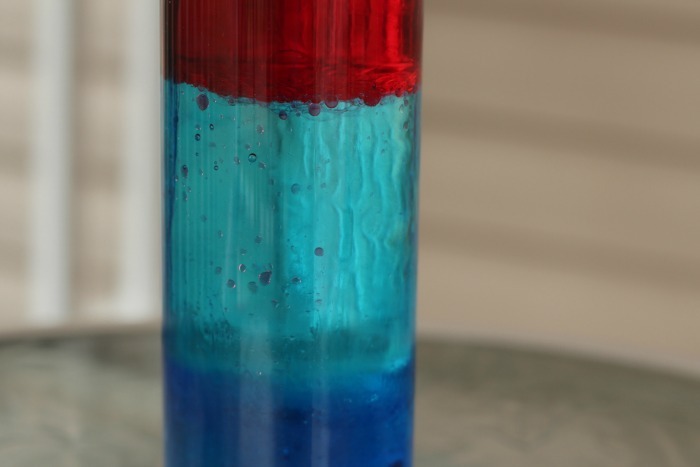 While I was hoping that the layers would stay separated, eventually the red lamp oil and vegetable oil mixed together. Bummer! I decided to try it a different way. 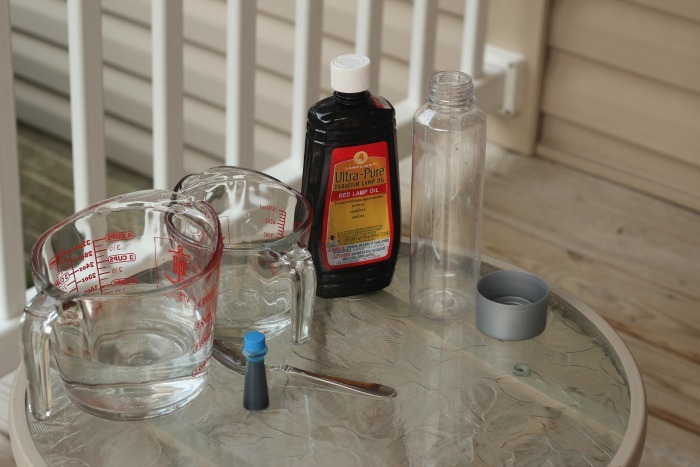 I used blue corn syrup, water, and red lamp oil. It looked really neat! The middle layer didn’t look white, but I still thought it looked cool! It was cool to see the bubbles in the middle. 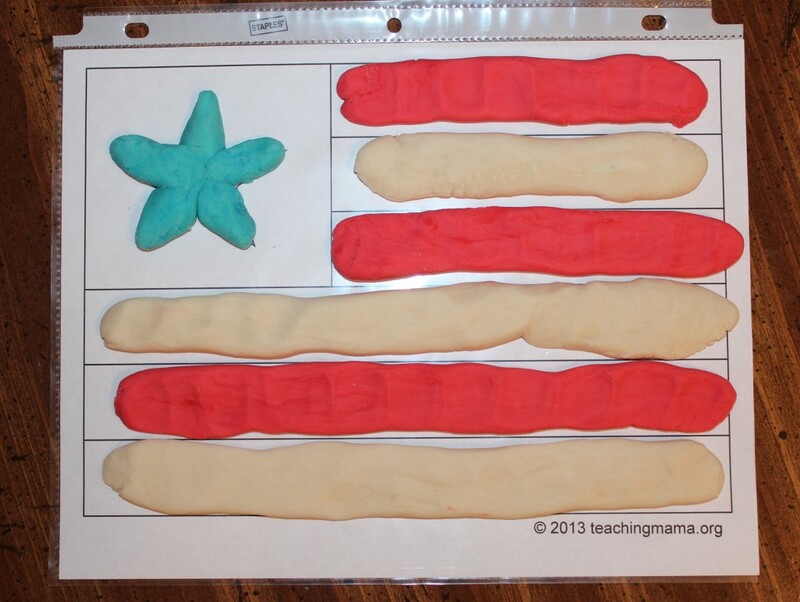 And it was neat to see the layers stay separated. 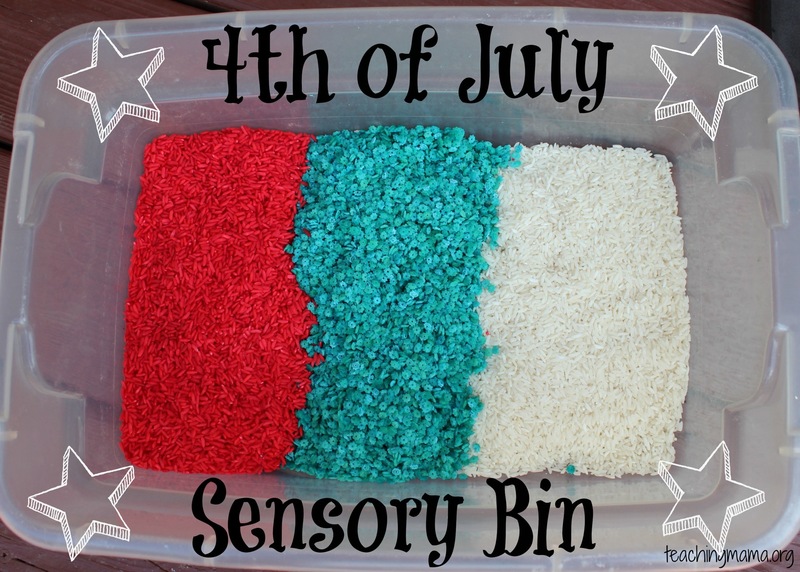 This was a fun 4th of July project and a fun sensory bottle to add to our collection! 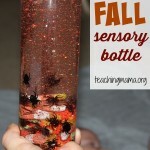 I love sensory bottles! Those Voss bottles are definitely the best! 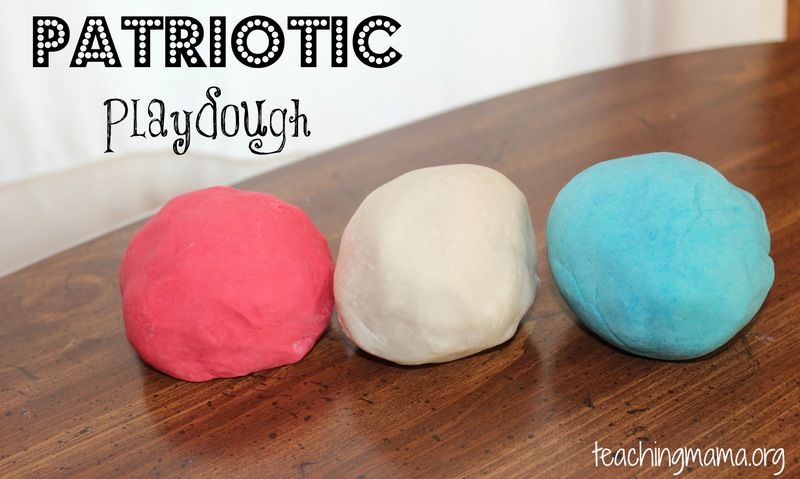 I just pinned this and can’t wait to add it next year. 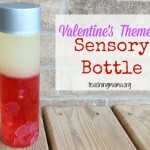 I love your idea of creating a new sensory bottle each month. Thanks for the inspiration! This is great! 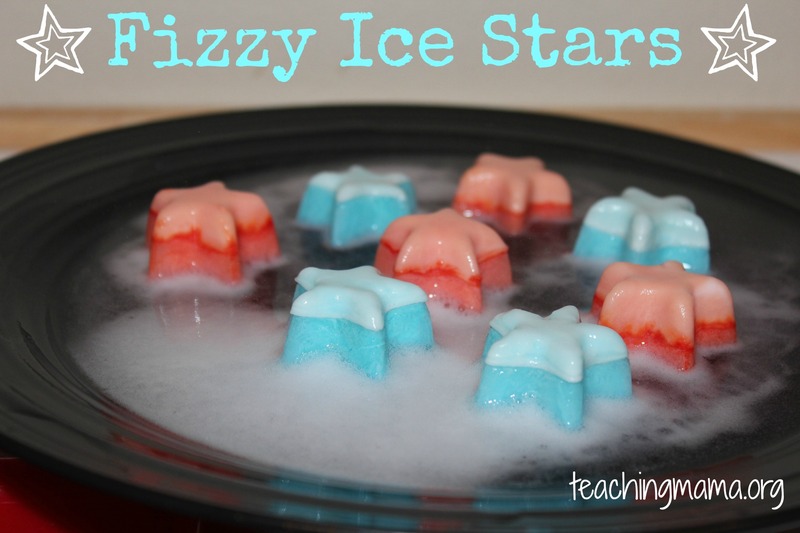 I amche king out your summer ideas to get ahead!!! I look forward to trying this.